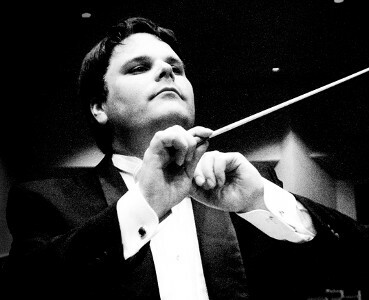 Before joining the Salt Lake Symphony, Larry Spell was the Music Director and Conductor of the Pitt Community College Symphony Orchestra in Greenville, North Carolina. The PCCSO was founded by Mr. Spell in 2007 with the purpose of providing a learning ensemble for Pitt Community College music students and an opportunity for community musicians to continue practicing their art. In addition to his duties leading the orchestra, Mr. Spell was responsible for ensuring the success of all the performing arts programs at PCC in his role as the Coordinator for Music and Drama. Mr. Spell is also Music Director and Conductor for the Symphony of Hope, an annual benefit concert that has raised thousands of dollars for cancer treatment. Mr. Spell earned a Masters of Music degree in Orchestral Conducting from East Carolina University. During his time at ECU, he served as Assistant Conductor for the University Symphony Orchestra, Conductor for the Summer Strings and Conductor for the Premiere Performances Concert Series. Mr. Spell is currently a doctoral degree candidate studying Orchestral Conducting at the University of Utah under Dr. Robert Baldwin.